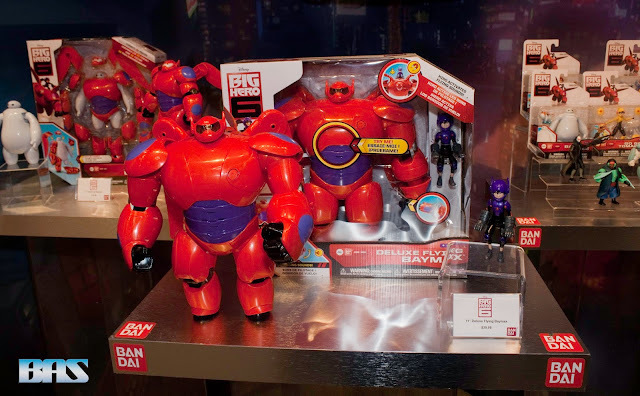 For this years Toy Fair I was able to make an appointment with Bandai and go behind the big red wall. It was an incredible sight to behold, mainly because when you outside you see how much room Bandai has on the show floor. But once you're inside it's just blows your mind on how impressive it is. Once I met with my contact I was shown around starting with their latest and most predominant line the Power Ranger brand. 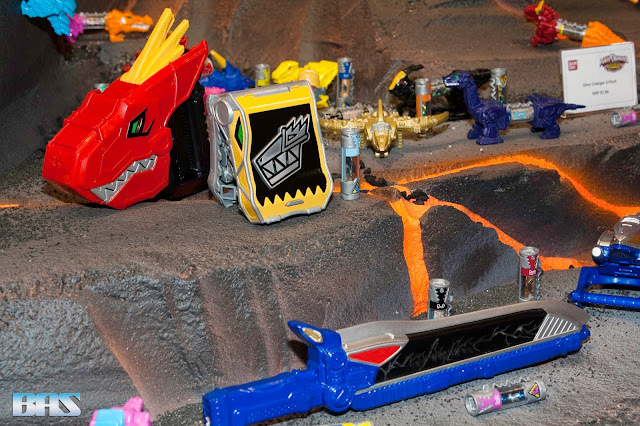 I got to kick things off with all the new and official line of toys based off the latest Power Ranger series "Dino Charge". 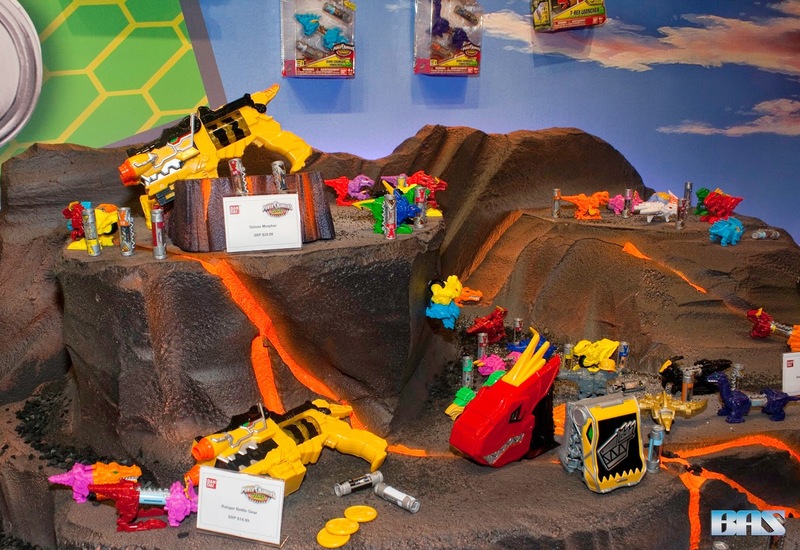 The new line of toys included action figures ranging from 4in-12in, vehicles, weapons, and morphers. 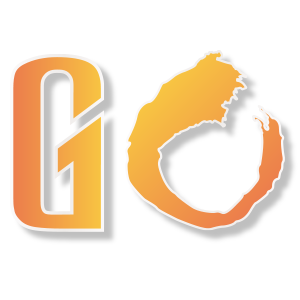 My contact was happy to announce to release of the Gold Dino Charge Ranger toys, whose character will be making his debut soon in the series later this year. 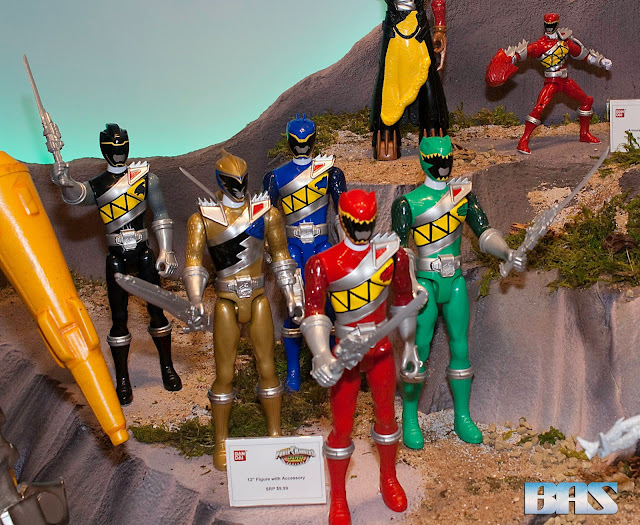 While the first 5 rangers were represented in the their 4in and 6in forms, among the 12in figures only the male rangers including gold were displayed. Of course this could be just a matter of time considering some of these toys have not been released as yet, but when asked another rep just said to be on the look out. As the series is already in full swing, I'm sure by San Diego Comic Con that even more new releases will be announced and by NY Comic Con they will have some great things for sale. 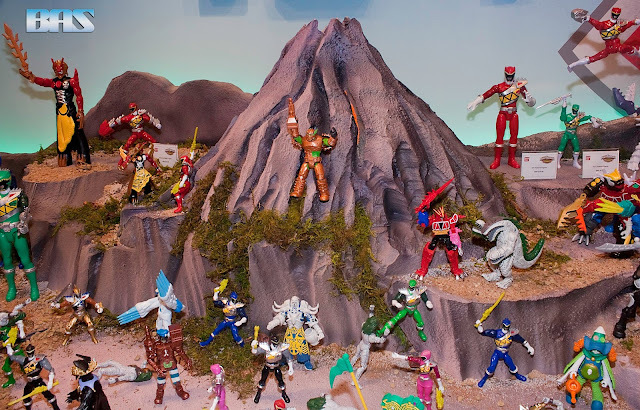 As a long time fan of the Power Ranger series, there were tons of toys that I missed out on just because I was a kid myself at the time with no income. 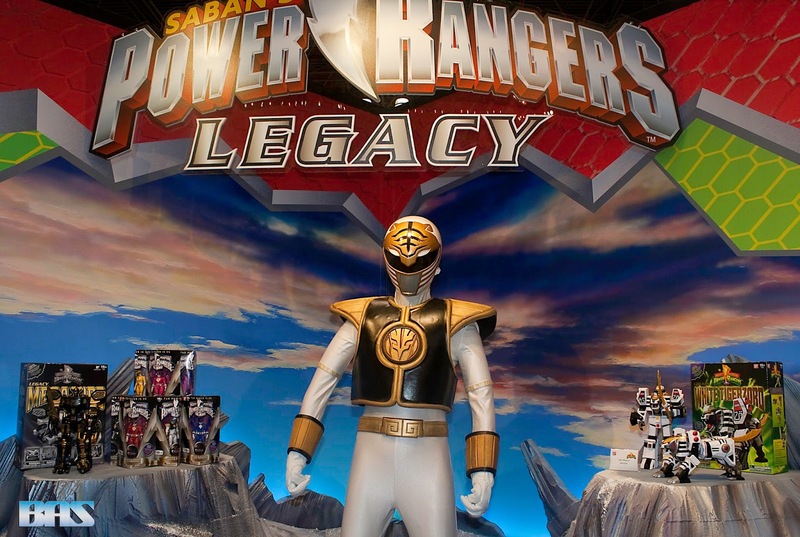 But I am glad to be an adult collector now seeing has Bandai has come out with a legacy collection of Zords and figures starting from the Original Mighty Morphin Power Ranger series. 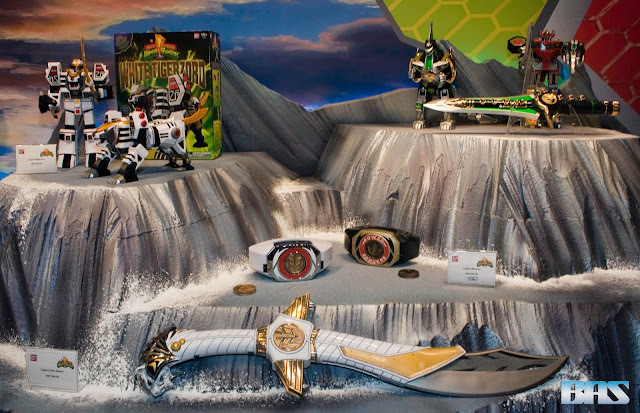 Coming soon or already released were the legacy White Tigerzord, Saba, the re-released Legacy Megazord and Dragonzord, and the Green & White Ranger morphers with Power coin. The great aspect of the new Legacy Zords is the fact that you can combine any zord together as long as they were a Legacy item. 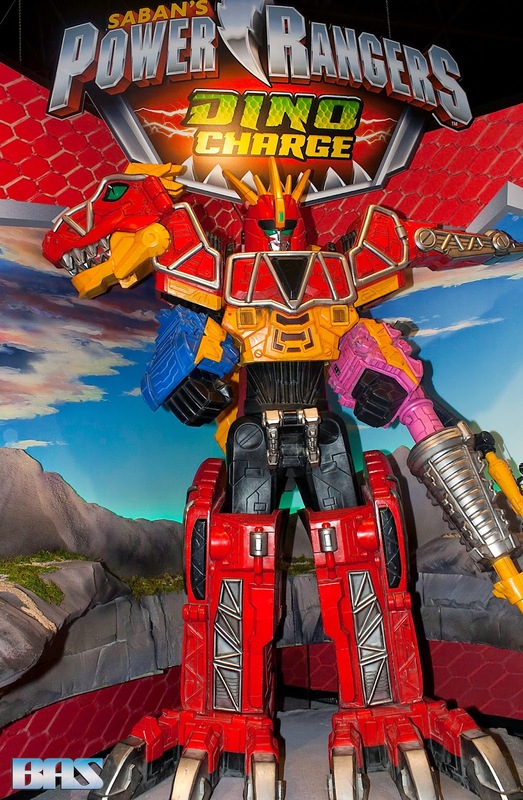 So if you ever wanted to combine the original MegaZord with the Dino Charge Zord, combination possibilities are now up to you. 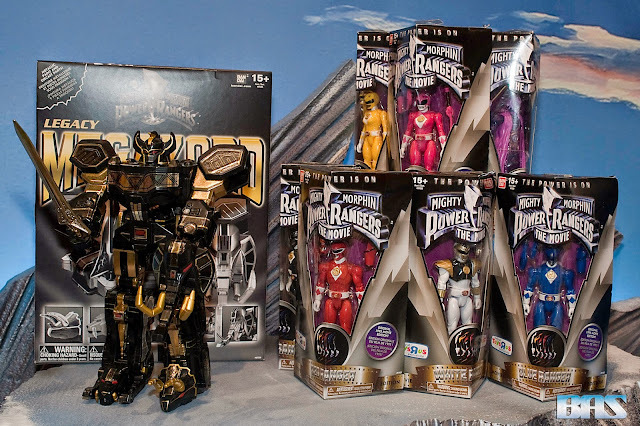 Another release on it's way soon is the gold & black version of the Legacy Megazord, for those that looking for a more stylish Megazord. For fans of the first Power Ranger movie, new movie figures are available for sale including all 6 rangers. Further into the Bandai's booth new figures from the award winning movie "Big Hero 6" were on display. It was surprising to see how many licenses Bandai had under their umbrella. Newest figures 4” & 6" Action figures of the entire team, 5.5” Plush toys and a 10” Plush Baymax. Some are already available at Toys R Us, the rest should follow by this summer. 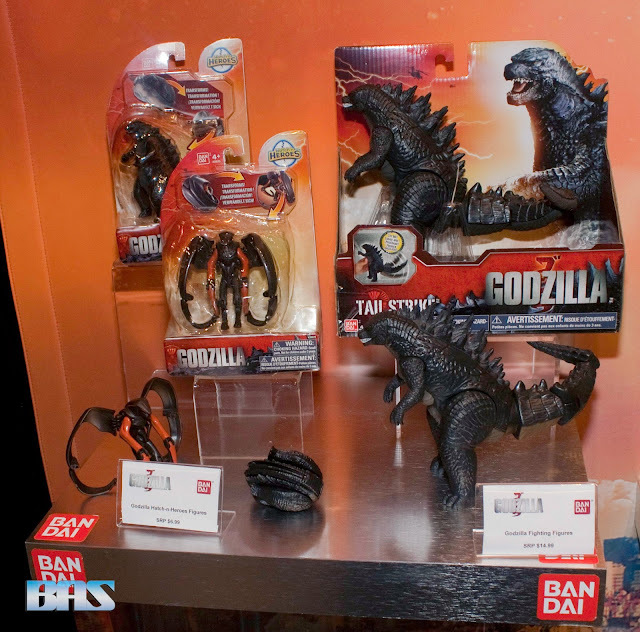 Next up on the tour were brand new Godzilla figures based on the hit U.S. movie. So far the only monsters released are Godzilla, MUTO, and classic Godzilla, Mecha Godzilla & King Ghidorah. 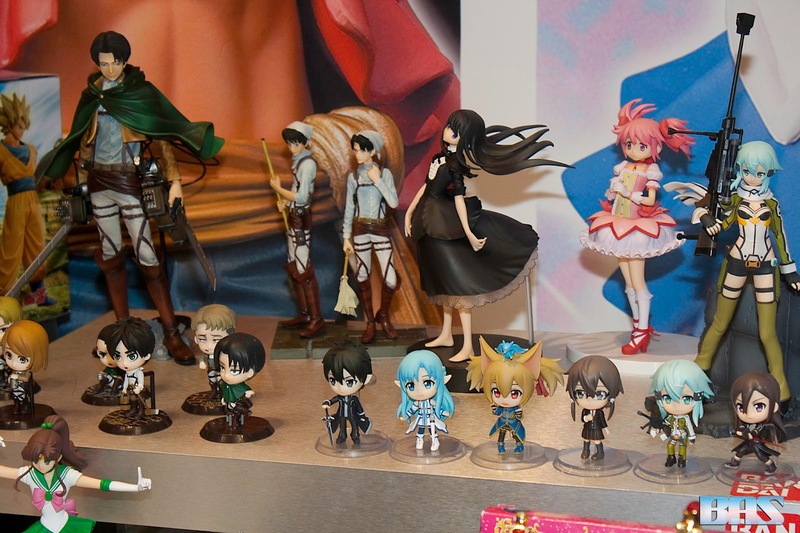 Figures will range from Large Scale Vinyl Figures to 6.5” Scale Vinyl Figure. 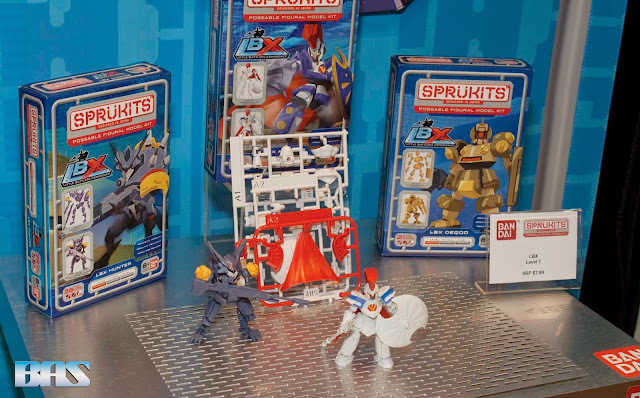 SprüKits are buildable character model kits along the same lines a Gundam kits. 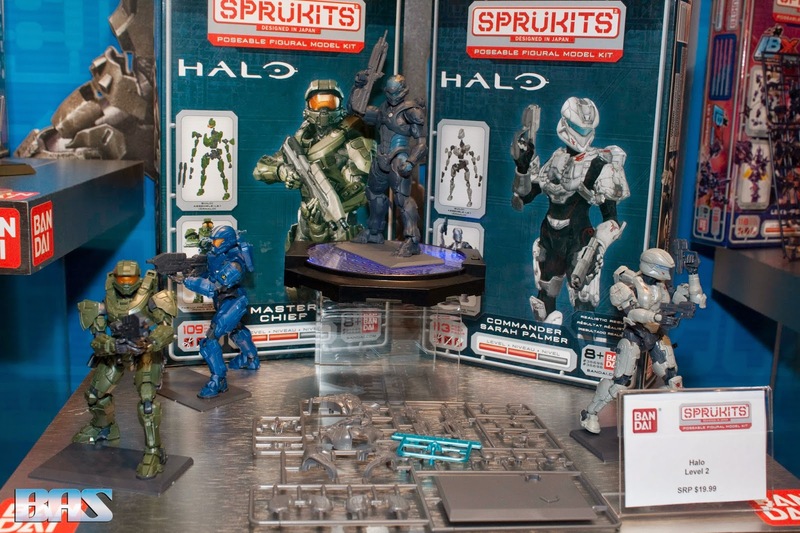 Kids and adult fans can build their favorite action figure characters including those from DC Comics, Microsoft’s Halo®, Dentsu, and new for 2015 Pokémon and have their creation look like a great collectible action figure without needing any glue, paint or scissors, as is typically expected in a model kit. SprüKits are offered in three building levels to accommodate builders of all abilities. Level 1 figures are designed to be entertaining and easy to assemble. 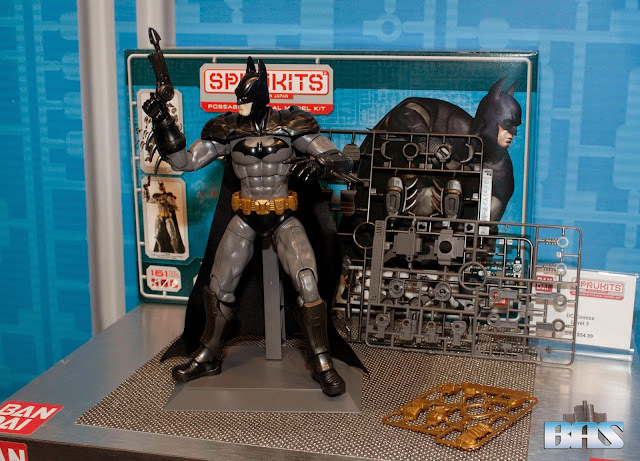 Levels 2 and 3 kits increase in complexity and build time, which delivers a larger figure with sharper details, and increased articulation. 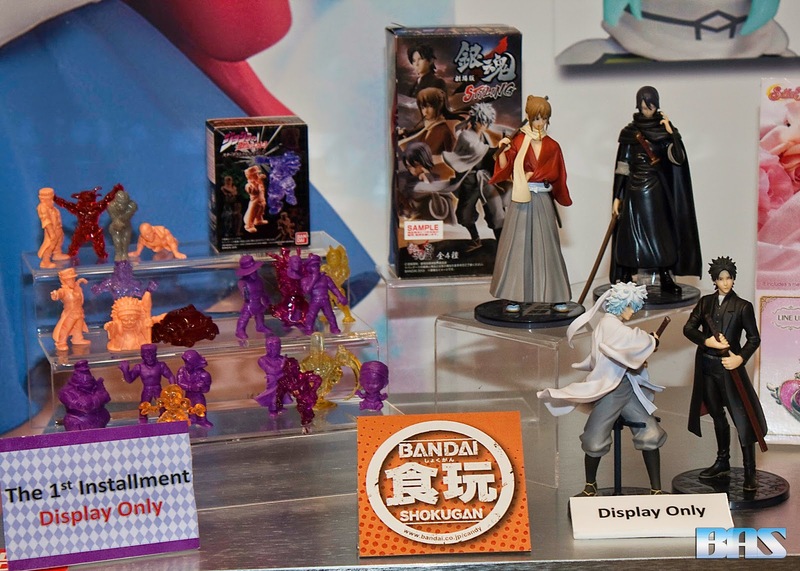 For those that are tired of having to pay high shipping fees for their favorite anime related items, good news starting later this year expect a lot of your favorite anime characters to grace your local toy store. 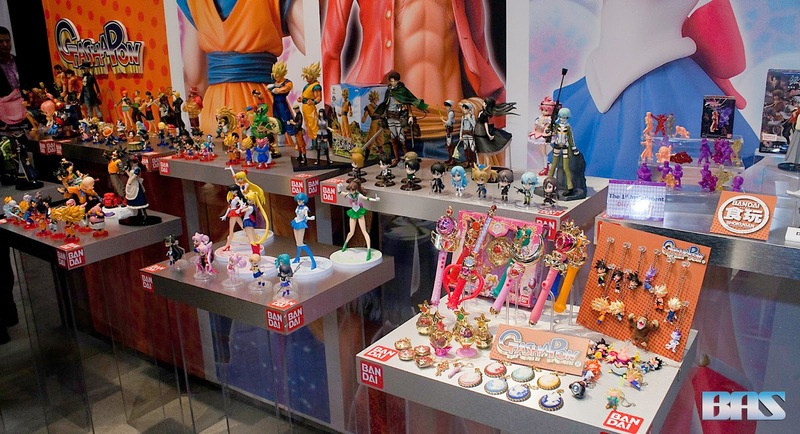 Bandai's Gashapon & Shokugun line brings to you characters from hit anime series such as Dragon Ball Z, Sailor Moon, Sword Art Online, Attack on Titan,and One Piece to name a few.These highly collectible items range from 6-12in statues, accessories, and mini figures. 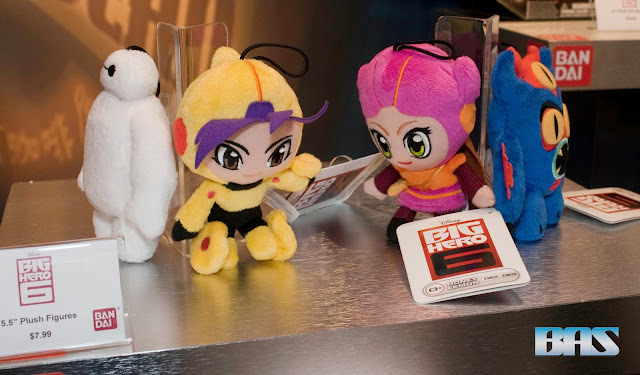 One of the last things I saw at the Bandai booth were these cute little Hatch 'N Heroes. Hatch ‘n Heroes is a great line of transforming figures. 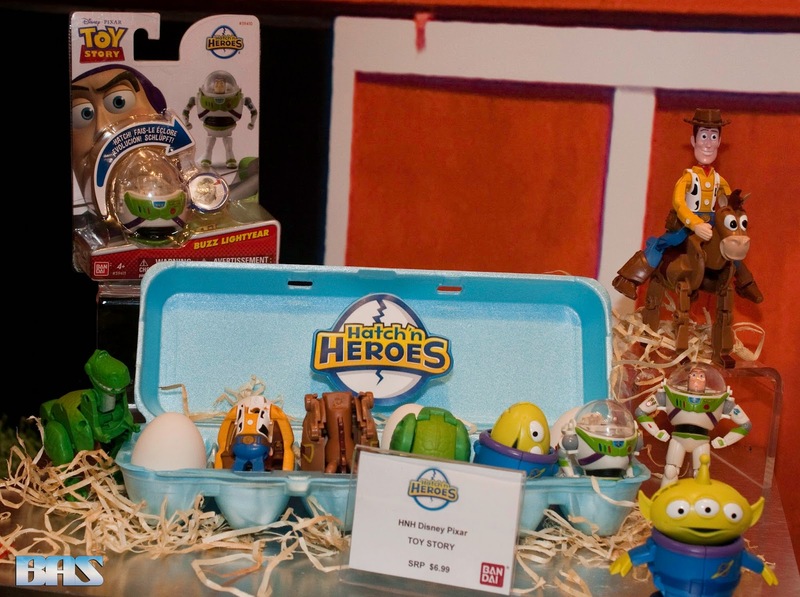 Each figure starts in its simple oval shape “egg” which you can transform into your favorite Disney, Pixar, & Godzilla characters. A couple twists and you have an iconic figure to play with. 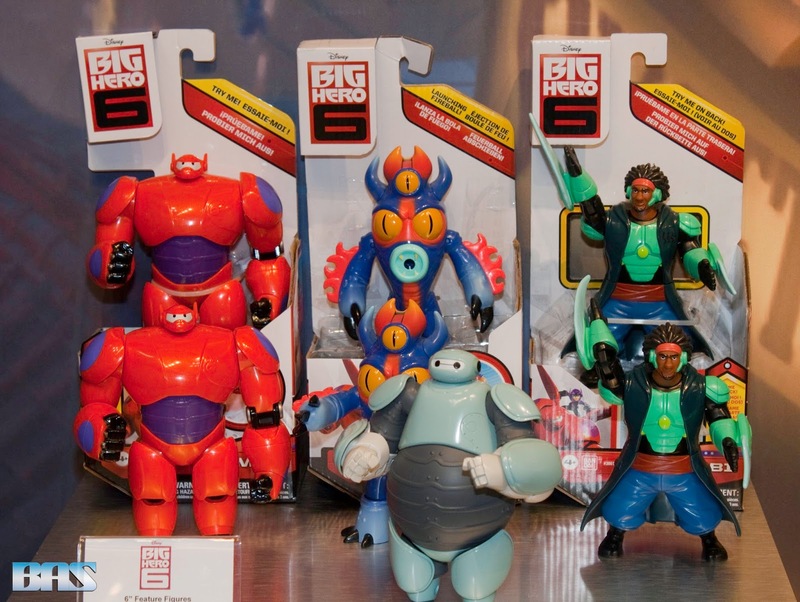 More characters are slated to be released under this new toy line in the coming year. Cabbage Patch Kids has adopted Wicked Cool Toys! Middle East Film&Comic Con Continues to Grow!